Located in Spon Street in the heart of Coventry city centre we offer a wide choice of tasty, authentic Vietnamese food. "When you think of Vietnam you think of its rich and diverse cuisine, full of flavour, spice and variety. My name is Van, the founder and owner of Taste Vietnam. I found myself fortunate to be born in the countryside, not too far from the centre of Hanoi, the capital of Vietnam. Since being in the UK and away from home, I have longed for the taste of authentic Vietnamese food, which became an inspiration for opening my own restaurant. Taste Vietnam brings Vietnamese dishes, that have been developed from family recipes, to the people of Coventry. If you have ever heard of Vietnamese baguettes then you must definitely visit us at Taste Vietnam, I'm sure you will not be disappointed. The taste of our traditional style barbecue sauce accompanied with our home made cake mix will give you that warm and fulfilling feeling. Why not try our special Taste Vietnam Pho, a noodle soup? The smell of Pho is amazing and will warm you up on a cold winters day. There are also a wide variety of other Vietnamese authentic, amazing dishes, that you should come and try. We are always waiting with a friendly smile, ready to serve you." 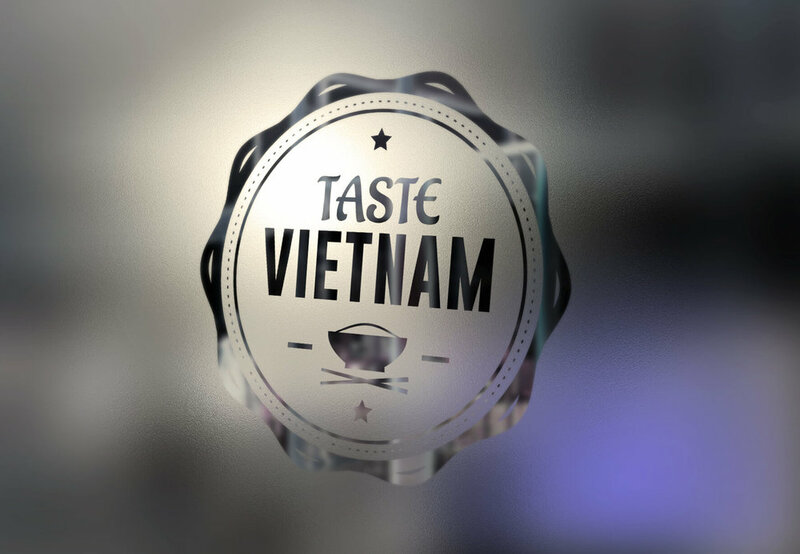 Create Onsight were commissioned to design a new brand for Taste Vietnam that reflected its founders heritage and cultural roots, yet appealing to perspective clients, the people of Coventry. The logo was designed to have immediate impact and relate to the product offer, authentic Vietnamese food. The modern, retro style of typography within an ornate circle gives the logo impact and authority, whilst the simple bowl icon says exactly what is on offer. 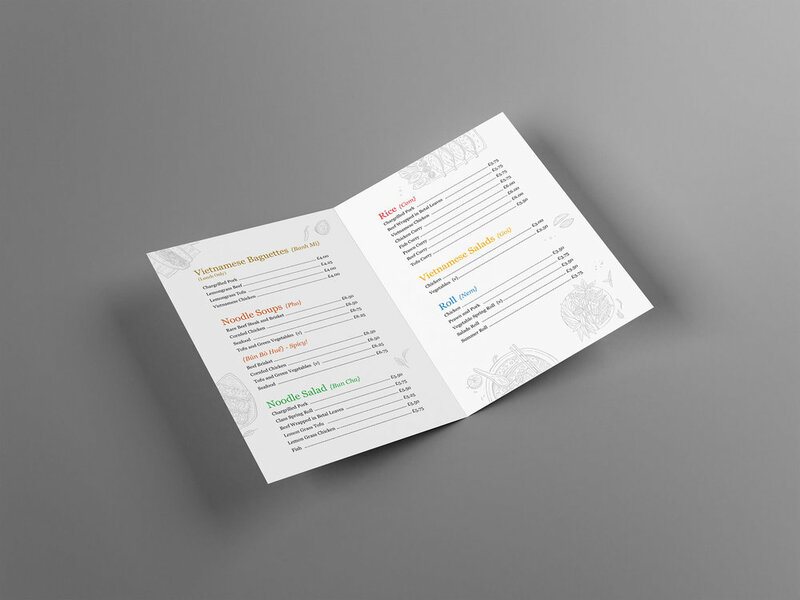 The new brand was carried consistently across a new menu and website reflecting the food and heritage of Taste Vietnam yet firmly placing the brand within the city of Coventry.